LONDON Printed by Thomas Creede. 1595. 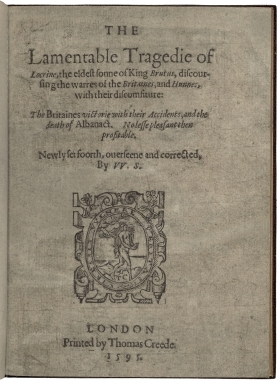 Title page imaged from Folger call number: STC 21528 copy 1. Image is not from the transcribed copy. Wiggins suggests a best-guess creation date of 1591; range 1590–94.